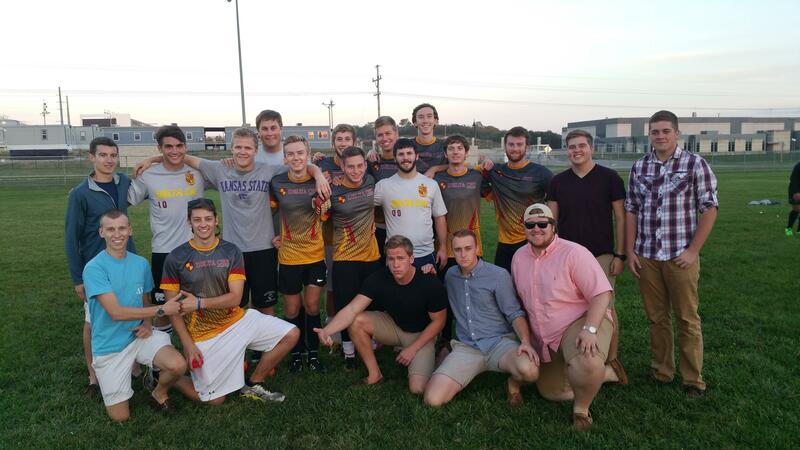 Every semester the brothers participate in various intramurals hosted by K-State. During the Fall semester we participate in flag football, soccer, volleyball, and a few others. This fall we made the playoffs in bother soccer and volleyball. Dring the Spring we will participate in softball, basketball, swimming and a few others. Through hard work we seem to always do well in intramurals. We also have alot of fun spending time with our brothers. It is also always enjoyable to get to be placed in a competitive enviroment against other greek chapters. If you would like to come see us the events are always on our calendar. To learn more about Intramurals at K-State, Click Here.